Propylene glycol alginate is processed from alginate by esterification. 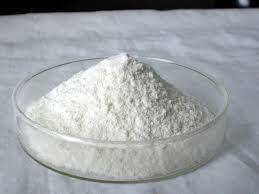 Compared with alginate, it has more advantages and unique application in the food industry. There is a more effective stabilizing agent that can be used in yoghurt and produce a superior taste and better stability, that is, PGA (propylene glycol alginate). 1). propylene glycol alginate helps to give yoghurt products a natural texture and taste and even under the condition of the reduction in the addition of dairy solid substance, it can still well display such a feature. 2). propylene glycol alginate can effectively prevent products from forming inaesthetic and rough appearance and make the appearance of products smooth and glossy. 3). It can totally mix with all the other ingredients and can be applied during fermentation in any range of pH value. Furthermore, under the condition of gently stirring, PGA can be easily and well distributed in yoghurt. PGA is comparatively excellent in dispersibility and solubility and is also very stable during the whole heating process. 4).Propylene glycol alginate can not only act as a stabilizing agent in yoghurt, but also provide with emulsification. It also helps to make ester yoghurt smooth, mellow and tasty. * Standard Packing: 25 kg net in bag.